HG39. 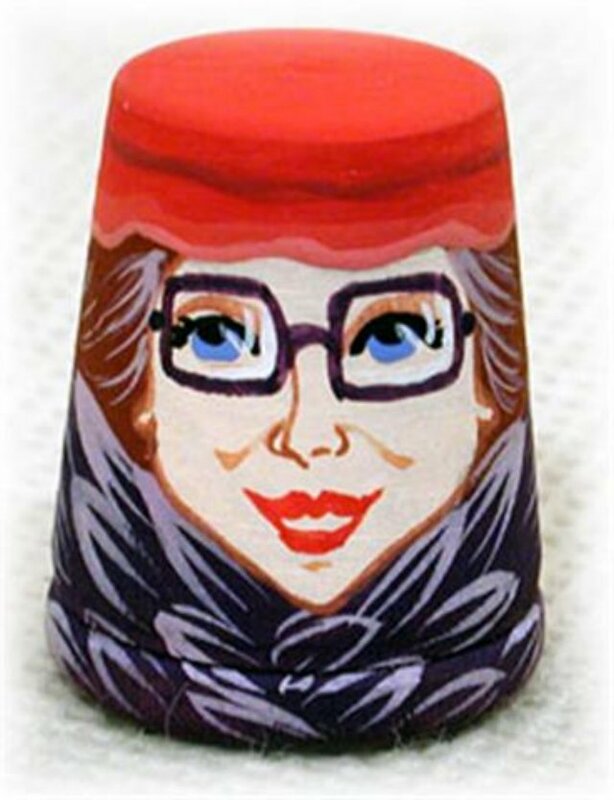 Red Hat Society Thimble 1"
This wooden thimble features a Red Hat lady living it up, and is quite the find for the collector of Red Hat Society memorabilia. This is an exclusive Golden Cockerel user requested item.